Nintendo of Europe have detailed the latest additions to their Nintendo DSiWare and Nintendo eShop services, bringing a wealth of new titles available to download. Highlights include EnjoyUp Games’ retro space shooter 99Bullets on Nintendo DSiWare, and the arrival of 3D Classics Xevious and Game & Watch Gallery through the Nintendo eShop. 99Bullets is a fun space shooter with a retro look, where if you lose a bullet, you lose a life and if you lose a life, you lose a bullet. Unlike most shooting games, you need to take care of your bullets and weave your way through tricky levels. Immerse yourself into a world of hidden creatures, as AfterZoom turns the camera of your Nintendo DSi or your Nintendo 3DS into a microscope. Explore your surroundings and discover new forms of life right under your very nose. Jagged Alliance is one of the biggest strategy game hits of all time which has now made an explosive entrance on to Nintendo DSiWare and the Nintendo 3DS. In this fusion of role-playing game and turn-based tactical combat, players become fully immersed in their characters with the combination of a delicate mix of technology, tactical manoeuvres and strategic planning. 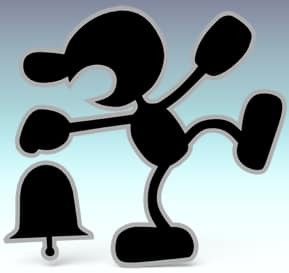 Game & Watch Gallery is a revival of the classics: four masterpieces from the Game & Watch series.